Little birds are chirping about a downtown Thrifty Foods... but not where everyone was at first thinking. Birds are saying the Empire Capital 6 is soon going to be re-purpsed. Makes sense, the property never went up for sale or lease. Edited by sdwright.vic, 07 July 2014 - 11:15 AM. They certainly have been eyeing the area for a long time. This location would make a great deal of sense, albeit significant renovations would be required. Interesting idea. Are you saying the current building will be razed? Chard is the developer of the adjacent 819 Yates project. I have put in a query with Chard Development to shed some light on their involvement here, if any. I'm not saying... just proposing... Property value and taxes would be quite high I think for a grocery store only, especially at the thin profit margins. Well that would certainly be awesome. I imagine it would be easier to rip down the existing building and start from scratch. Chard Development is confirming that they are not involved in this project. I would hope that the iconic glass enclosed walkway would remain. ^all the plants on the inside are pretty much dead now. Sure hope this pans out. Can't see how the current building can be repurposed as a grocery store. One would assume they'll want parking on site. Something thin and tall would be a nice counter-point to the Atrium. Edited by Mr Cook Street, 07 July 2014 - 12:47 PM. We've been told that Sobey's owns this property. So if a Thrifty Foods is indeed the rumoured tenant, this adds an incredible amount of validity to the lead. This rumor may have legs. The property owner is Empire Company Ltd. who is the parent of Sobey's. Thrifty's is a division of Sobeys. 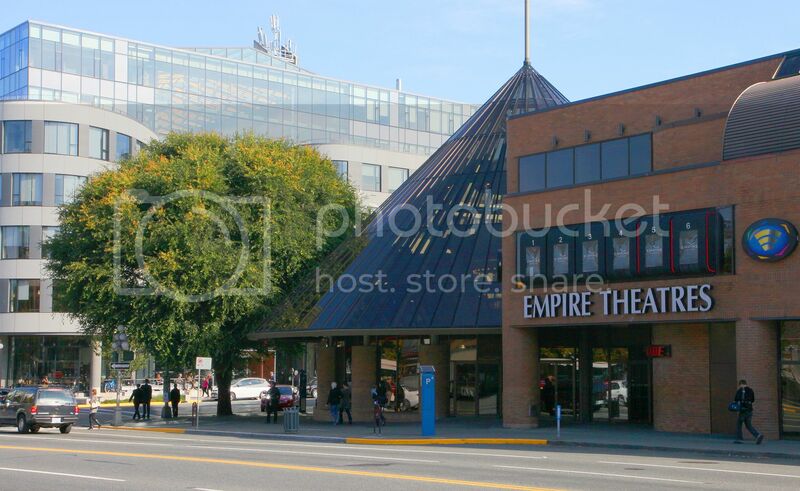 When Empire Theaters shut down, the word was that Empire Company Ltd. was holding on to the property and aimed to sell the property at some point in the future for capital gains. The property has never been put up for sale, as far as I know. Lift the dome up top for a huge skylight. 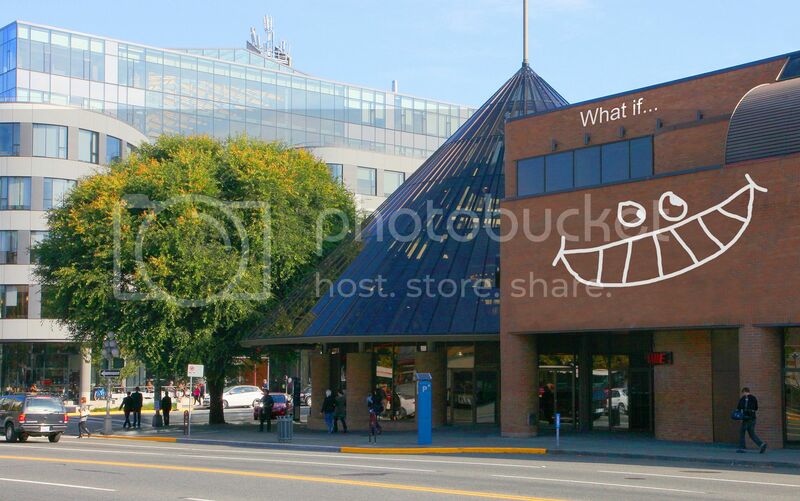 Actually the dome would make a spectacular entrance for a grocery store if you remove the current ground-level windows. Does Sobey's have any urban grocery concept stores they've tried out anywhere? Maybe in Toronto? It would be nice to see something like the urban Whole Foods that have coffee shops and great take take out food. Something a little more vibrant than a standard Thrifty's layout. Yes there is a Urban Sobey's... it's Sobey's Urban Fresh.